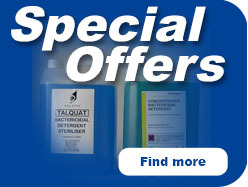 Talbot Chemicals Ltd was formed in 1971 and is involved in the manufacture of chemical cleaning materials. Originally the company was based in Grantham with a factory floor space of 1000 square feet, this soon became cramped and so in 1973 the company moved to larger premises at Welbourn. The company continued to expand and in 1982 moved to Sutton on Trent. The production until this time had been located in poor premises and the continued growth of the company demanded factory sized production facilities. 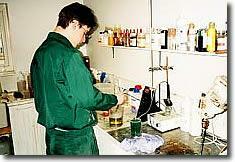 In 1994 once again the size of the business and the range of products manufactured had outgrown the factory at Sutton. A decision had to be made whether to expand this factory or move again. During Easter of this year Talbot Chemicals moved again, this time into a purpose built factory in Newark. This was not the last of the expansions as an extension to the factory at Newark was built in 1997. Currently we have a factory floor space of around 10000 square feet. We have a wide range of products which are supplied in a variety of sizes of containers from 1 litre to 1000 litres. In order to provide a special service to our customers the company has acquired its own blow moulding facilities and manufactures containers to customers specifications with a full screen printing operation to personalise the containers with client names and product information. The directors have followed a policy of steady growth and continous improvement through the years and the company has established a reputation in the industry for quality of product and prompt and effecient service.